Seated from left to right: John Waiamau, Sam Keliinoi, William Olin Crowell, Robert Pahau, Charles Blake, Thomas N. Hase. 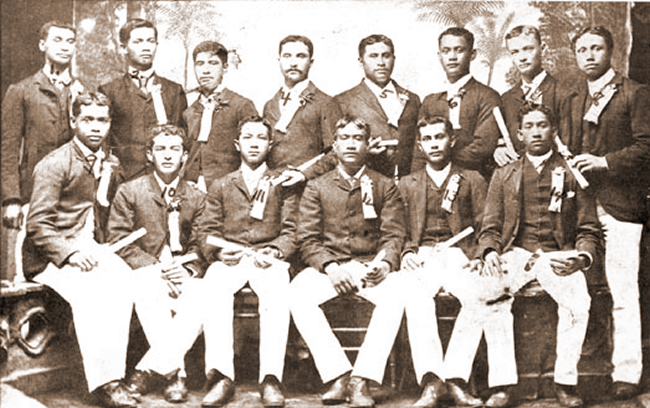 Standing: William Manaole Keolanui, Fred Beckley, Solomon Hanohano, William Rathburn, Sam Kauhane, Moses Kauwe, Charles E. King, W.E. Brown.